Market looks topped out and tired. 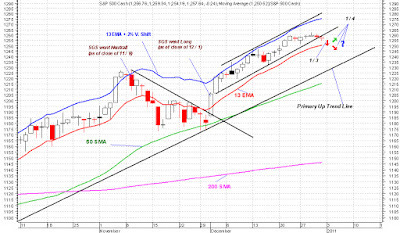 SPX very likely tests its 13D EMA (around 1250) tomorrow. If not much selling occurs in individual stocks as SPX dips down to 1251 to 1250, then that dip is a good place to scale into long positions. 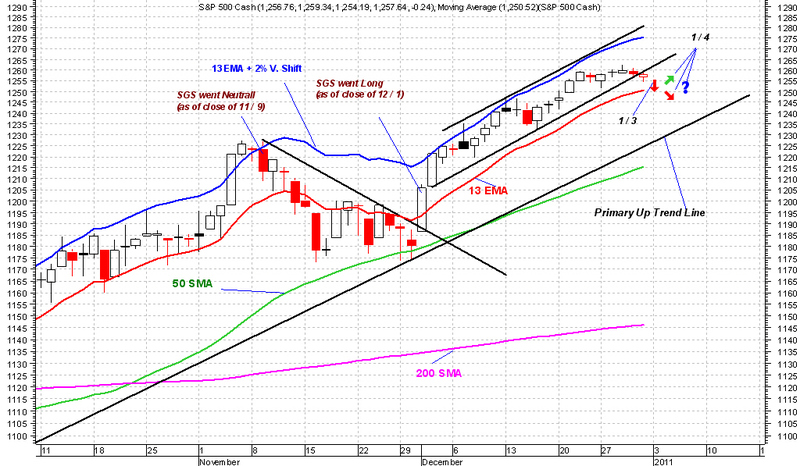 If selling is broad and heavy, SPX very likely goes down more to test its primary uptrend line later in the week.